If you're anything like me, the idea of watching a prized potted plant die this fall just makes you very sad. 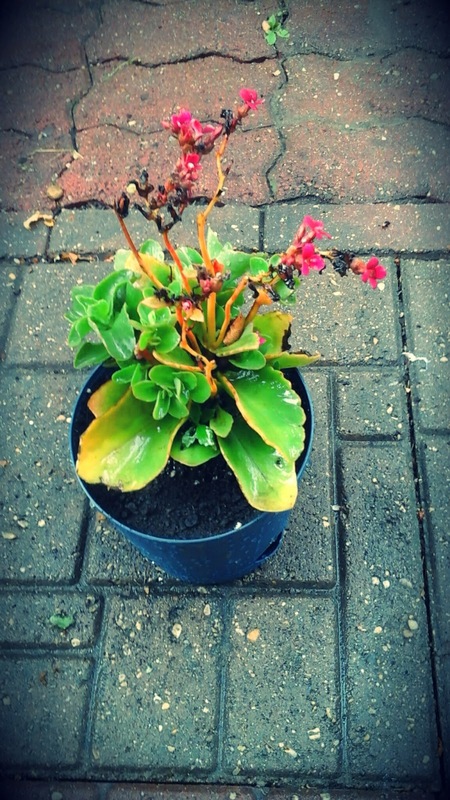 For me, it's a succulent with pretty pink flowers that I just had to have! Outside plants harbor insects that when brought indoors can become quite a nuisance, particularly those little flies called fungus gnats that live in plant soil here in Canada. They buzz, fly up in your face, and multiply rapidly. 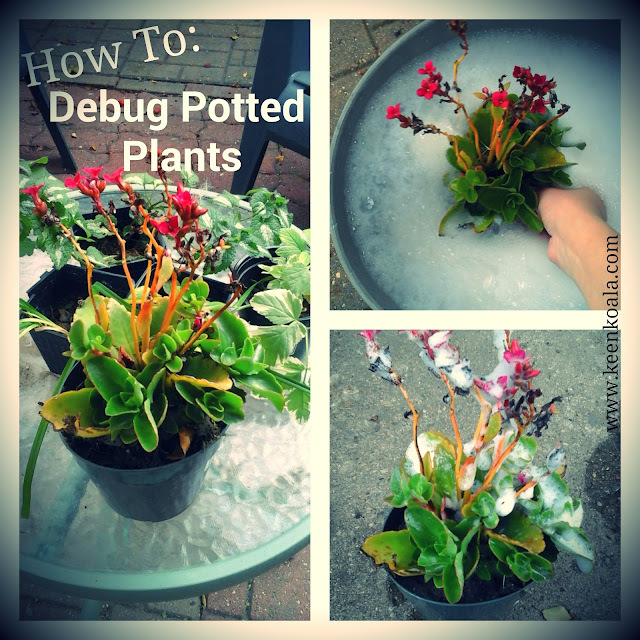 What if I told you that there is an way to easily debug your outdoor potted ornamental plants so that you can bring them inside without worry. Well, it's true! It only takes a few minutes, doesn't require any harsh chemicals or special products, and it's dirt cheap. Hehe, get my pun? Nothing better than a little gardening humor to get the project started. Without any further adieu, let's clean some plants! Fill your pail with water that is the same temperature as the air outside. Add a few squirts of soap and mix well. 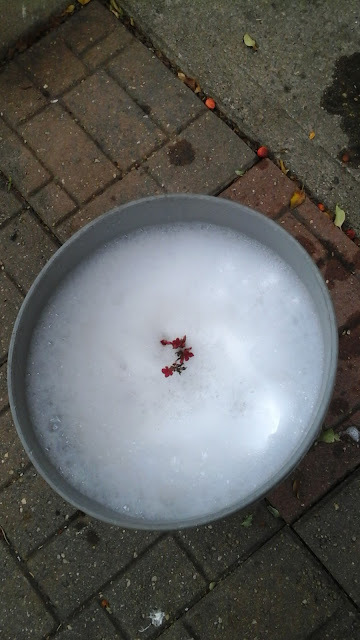 Carefully lower your potted plant into the soapy water. Try to cover all of the leaves. If the plant is too tall, use a cup to ladle water carefully over the leaves as if you were giving it a gentle bath. Allow the plant to soak in the water bath for 10 to 15 minutes. This will kill any insects on the plant. When the time has passed, remove the plant from the water and set aside. 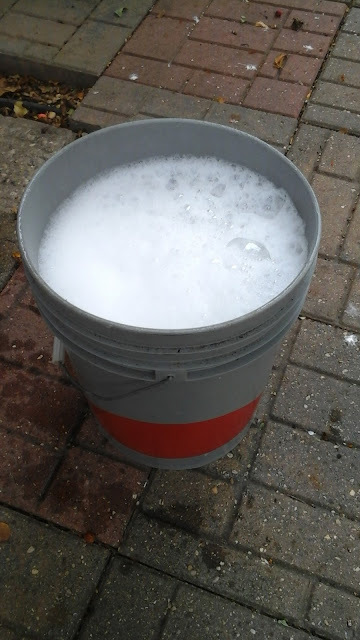 Dump out your pail and rinse it. Refill with clean water. Submerge your plant again for 5 minutes to remove soap residue. 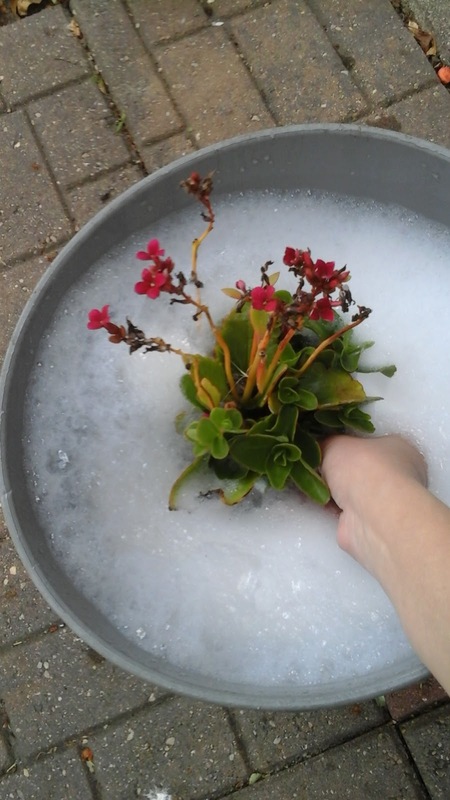 After the time has passed, gently lift out your plant and allow it to drain, either outside or in a sink. Once the water is finished draining, repot the plant if it appears to be getting too large for it's pot, then find a nice sunny spot for it indoors. Repeat this method for any other plants that you would like to bring indoors. Also, I should note that this method will also work for houseplants that have become infested with bugs! I hope you enjoyed this quick and simple tutorial. 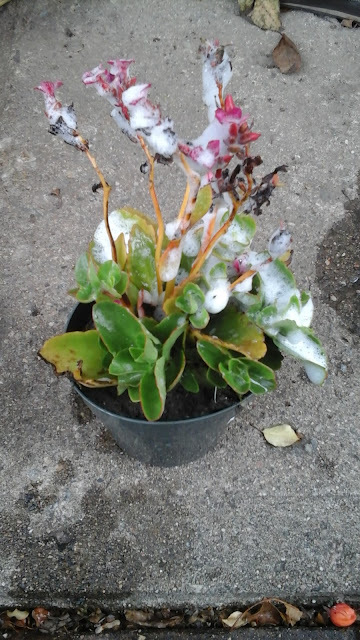 Now, don't delay, we only have a few more days before it freezes, at which point it will be too late to save your plants! Don't forget to "Like" Keen Koala on Facebook for instant access to the latest posts, exclusive content and contests by clicking HERE!